Nike’s FuelBand gadget / accessory may have hit the market alongside a plethora of great smartphone apps offering great options to the health fitness conscious, but the nice-looking wristband has already won legions of fans impressed by its beauty and effortless functionality. 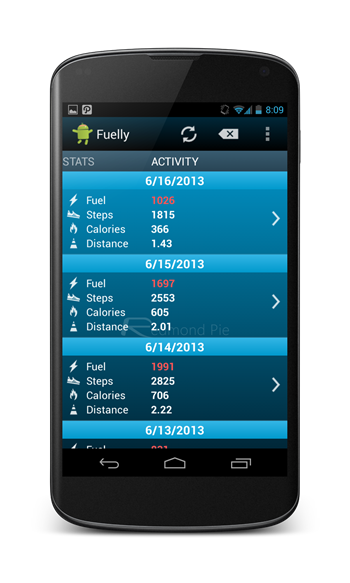 If you happen to be a Nike+ FuelBand user and have been on the look for a way to check your progress on an Android, look no further than Fuelly, a nicely designed app worthy of such a top-notch product. 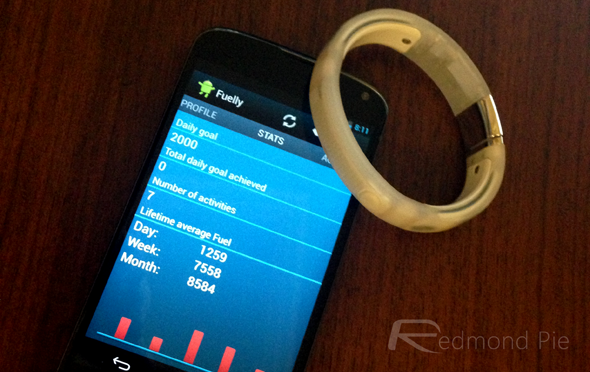 If you haven’t used FuelBand before, you might have been surprised by just how much of a success it has been in the marketplace. But I can assure you that once you give it a try, it’s unlikely you’ll look back, for in keeping a log of your daily movements, can help motivate you from a near vegetative state into a walking, talking fitness freak. There’s no official Nike+ FuelBand app for Android and is exclusively available for iPhone users, but Fuelly by developer alx5962 is one of the cleanest and easy-to-use offerings we’ve come across. 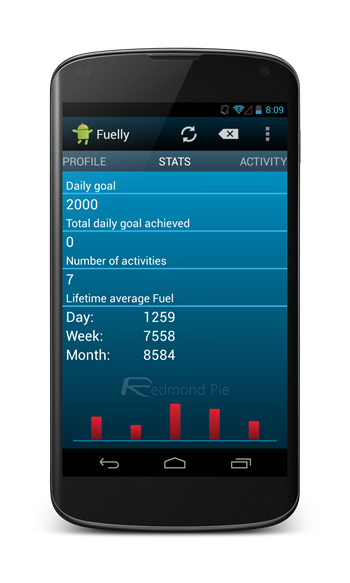 Found over at the Google Play Store for those on Android, Fuelly will keep an automatic log of your last two weeks’ data, meaning you can check your progress at a glance directly from your smartphone or tablet device. Once you’ve hooked up your Nike+ Connect credentials with Fuelly, the app immediately gets to work, and you can use it to track your general activity throughout the day. As you would expect, you can check how many calories you’ve burned, steps you’ve taken, and how far you’ve gone, making it very easy to keep up with and make progress upon your goals and achievements. But, there’s one catch; it will not sync with your Android device using Bluetooth, you must sync it with your PC or Mac using Nike+ Connect, as we mentioned earlier in this post. If you haven’t yet tried the FuelBand, I highly recommend you give it a go. When it first arrived, I did think it was a bit of a gimmick, and whilst, to a degree, this may be true, if nothing else, it’s an inexpensive way to help you become more active, which can only be a good thing. Download Fuelly via the link below.